DISCLAIMER: THIS ARTICLE DOES NOT NECESSARILY PROMOTE THE VIEWS, THOUGHTS, OR OPINIONS OF LEGALFLIP.COM. THIS ARTICLE IS AN EDITORIAL. 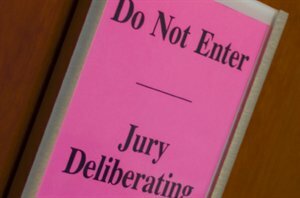 Based on the plethora of journal articles, novels, and stories on the topic of jury systems and justice, it has become apparent that both the search for the truth and the desire for justice to prevail would be better served by making significant improvements to the jury system that is currently in place. In order for the jury system to be effective in finding the truth, the procedural rules must be conducive to such an outcome. the right as a member of the jury to have the judge’s instructions in written form. Next, we’ll look at the concept of being entitled to a jury of your peers.